Iran’s president Mahmoud Ahmadinejad and Pakistani president Asaf Ali Zardari on Monday inaugurated a gas pipeline that will supply Pakistani cities with Iranian natural gas. The pipeline has been largely completed on the Iranian side, but Pakistan had problems getting the international financing to complete its leg, which will cost $1.5 billion. Iran is loaning Pakistan $500 million, and Pakistan is putting up the other billion from its own resources. They plan to complete the project by the end of 2014. The United States has threatened unilateral third-party sanctions against companies and countries initiating big economic enterprises with Iran. The Pakistani stock market lost a few points on fears that the US Department of the Treasury will come after Pakistan for its defiance. Pakistan, a country of 180 million, is the sixth largest in the world and it faces a severe energy crisis. It has few hydrocarbons of its own. It has enormous potential for solar and wind, but has not developed alternative energy sources– and lacks both the investment capital and the know-how to make quick strides in that area. The energy crisis is so bad that major urban populations suffer with frequent electricity outages (try running a factory that way) and brown-outs. In the punishing summers, the brown-outs or ‘load shedding’ can be deadly to certain populations, including the elderly and infirm. There have actually been electricity riots in large cities such as Lahore. The original plan for the pipeline had an Indian leg. Whether India will in fact join in is now in doubt. But Iran may calculate that energy-hungry India won’t be able to resist hooking into the pipeline once it reaches Lahore, only 60 miles from the Indian border. Because severe US sanctions on Iran are just made up by the US congress and the Department of the Treasury and have little international backing, it is likely that they will increasingly be defied by an energy-hungry world– I.e. Pakistan’s defection on this issue, and China’s refusal to cooperate, are probably bellwethers for other countries not deeply beholden in some way to the US. That Pakistan needs the gas, and can’t get it on such favorable terms elsewhere, is inarguable. 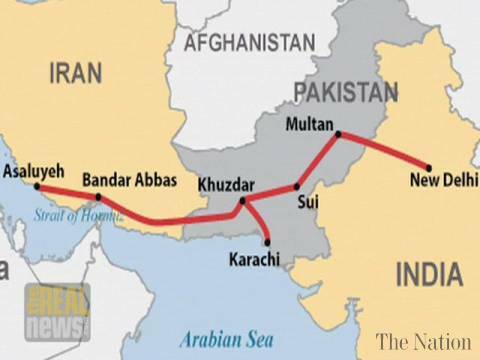 But the two countries are calling the pipeline the ‘Peace Pipeline’ and it seems likely that the Zardari government is seeking it in part in hopes of improving relations with Iran at a time when America is disentangling itself from the region. Pakistan may want Iran’s help with stabilizing Afghanistan as the US leaves, and may want to avoid an India-Iran (Shiite-Hindu) alliance against (Sunni) Pakistan. Zardari’s Pakistan People’s Party is facing elections soon, and he may want to signal his independence from the US, which is extremely unpopular in Pakistan, in part because of its drone strikes and violation of Pakistani sovereignty. It is also possible that the civilians around Zardari are attempting to firm up relations with Iran as a way of offsetting the alliance of some hard liners in the officer corps with Saudi Arabia and with elements of the Taliban. “(Begin live relay) (Unidentified anchor) The Iran-Pak (IP) gas pipeline project has been formally inaugurated by the presidents of Pakistan and Iran. We have been joined by analyst Ikram Sehgal to discuss the project. Sehgal, do you think the project will help Pakistan overcome the energy shortage? (Sehgal) It is a major as well as positive development because Pakistan is an //energy-starved// country. Due to the shortage of energy, our factories were getting closed and services were being suspended. Unemployment and price-hike were increasing, which could lead to eruption of anarchy in the country. I had been a critic to this government but it is their //very brave// and //courageous// decision. It was also necessary. Also, Iran is our good neighbor. We have got the gas at good rate. It is necessary that the project has positive effects on other areas as well. Obviously, the United States is not happy with it, but we will have to convince it that we direly needed the project for being an energy-deficient country. 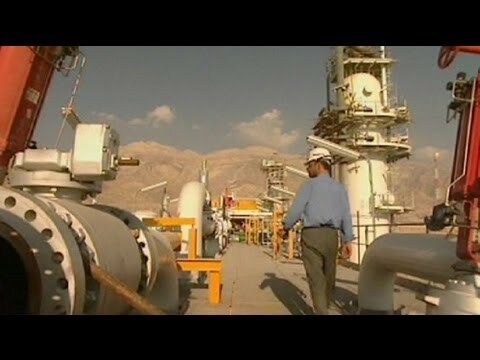 India imports oil from Iran but there are no sanctions against it. The United States has also signed energy pact with India, under which the later can import nuclear equipment from several countries. The United States must realize that if anarchic situation develops in Pakistan and peace and stability is disturbed within the country, it will have effect on the region. Hence, the United States should take long-term view of the project. (Unidentified anchor) Sehgal, do you think the upcoming government would also be able to bear the US pressure on the project?